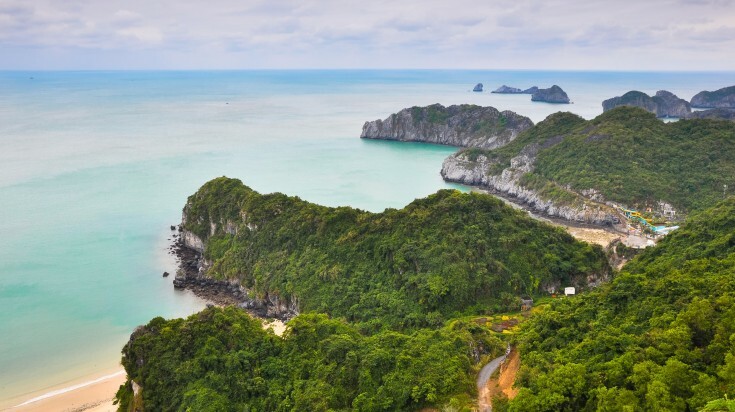 Vietnam has been blessed with over 3,000km of coastline, pristine forests, mountain ranges, and some of the planet’s most impressive limestone pinnacles and plateaus. Combine all this and you have the best nature tourism location in Southeast Asia. There’s no shortage of ways to explore all of Vietnam’s natural habitats. From national parks, to protected reserves, to pristine islands and archipelagos — Vietnam has every aspect of nature covered. Check out our top destinations in Vietnam for nature and wildlife tourism in 2018! 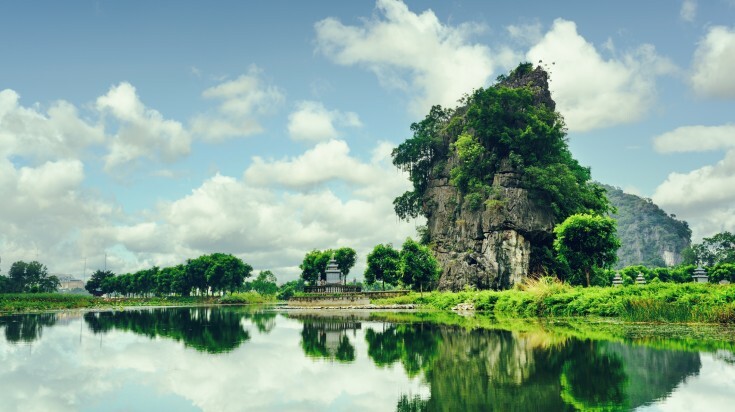 One of the most fascinating landscapes in Vietnam, Ninh Binh is usually overlooked for more famous places. 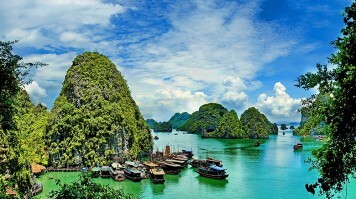 The iconic limestone pinnacles of Vietnam jut out of rice fields in this area, giving it the name “Ha Long Bay on land”. 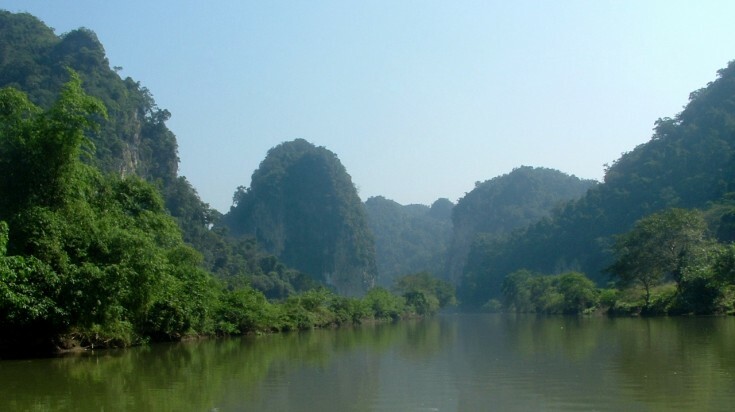 The Van Long Nature Reserve here is an absolutely pristine wetland surrounded by the famous limestone cliffs. There are also several caves to explore including the Mua Cave and Trang An. 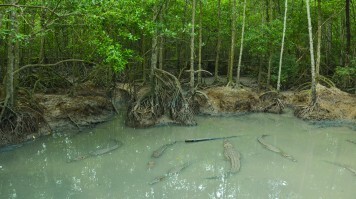 Lastly, the Cuc Phuong National Park is over 200 sq. km of lush tropical forest and one of the country’s most important protected areas. 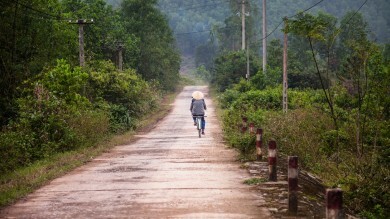 Vietnam’s rural and authentic side is more affordable and accessible at Ninh Binh. Good to know: Entrance fee and boat trip in Van Long is less than USD $5. The National Park entrance fee is roughly USD $2*. 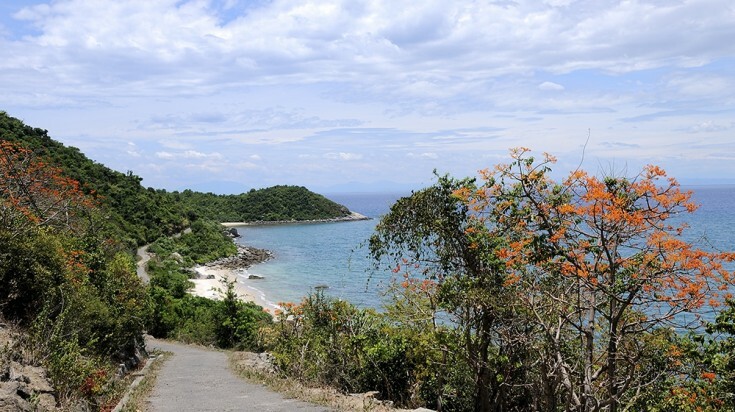 A cluster of eight islands laying 2 hours by boat off the coast of Hoi An are the Cham Islands. Hon Lao is the largest, the only inhabited island, and the one that is the most active. A UNESCO World Biosphere Reserve, the islands boast extensive forests, water coconut palms, rice paddies, coral reefs and marine life. Ideal for beach bums, visitors can scuba dive or snorkel the pristine waters, lounge on white sand beaches, or purchase local handicrafts. Good to know: The islands can get overcrowded during the day because of day-trippers, which is why it is recommended to stay overnight. Enjoy the beaches and the waters when most of the visitors have left. Trekkers and those who prefer to be out in nature instead of beating the city streets will find their emerald-green haven in Sa Pa. 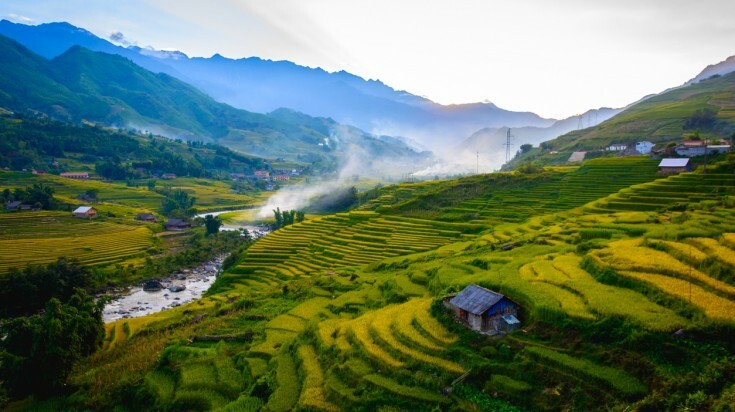 Located in northern Vietnam, Sa Pa is known as the trekking mecca of the country. Cool weather, sprawling tiered rice paddies, hiking trails, and village culture are the highlights of a few days spent deep within Vietnam’s Hoang Lien Son mountain range. Spend a night in a local homestay for a truly authentic experience. Good to know: The easiest way to get to Sa Pa is by overnight sleeper train from Hanoi. The journey takes about 8 hours and prices vary depending on the class of ticket booked, between USD $20 and $35* for one way. 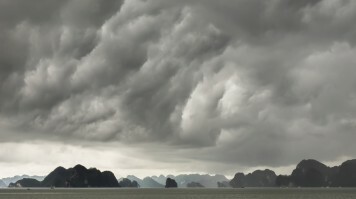 Eerie and enchanting, Ha Long Bay is one of Vietnam’s most recognizable UNESCO sites. The famous bay is composed of roughly 1,600 limestone karsts topped with vivid greenery jutting up from the emerald-green water. A boat cruise through Ha Long Bay is an absolute must while in Vietnam. Budget and backpacker friendly trips, daily tours, overnight excursions, and luxury cruises can all be booked from Hanoi, roughly 3.5 hours away by car. 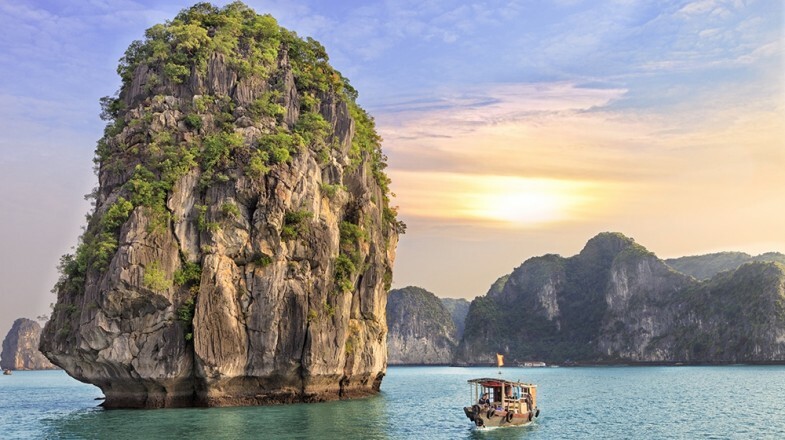 Good to know: Cruise costs can range from USD $5 for half-day tours to USD $250* for overnight luxury trips, making Ha Long Bay affordable regardless of budget. Nestled cozily in the middle of the Annamite Mountains, Phong Nha-Ke Bang may be Vietnam’s best national park. The massive area has been declared a UNESCO World Heritage Site for its limestone plateau formations, tropical forests, extensive cave systems, grottos, and underground rivers. This park houses Hang Son Doong, the world’s largest cave explorable only via guided tour. Dark Cave boasts a zipline through the surrounding forest and a swim into the cave’s entrance. Paradise Cave has an uber-impressive collection of stalagmites and stalactites. 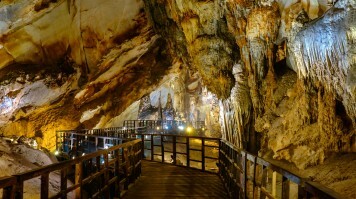 The most popular, Phong Nha Cave, can be penetrated up to 1,500m via boat tour. Good to know: There is no general admission fee into the park itself. Entrance prices to the caves can range from USD $7 to $20*. 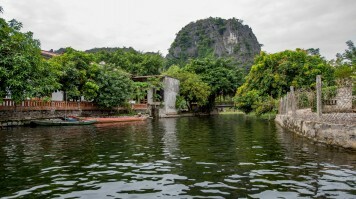 This park, located 180 kilometers north of Hanoi, is like a less-discovered version of Ha Long Bay. With the glassy Ba Be Lake and endless limestone karsts, Ba Be National Park is an untouched piece of Vietnam’s natural beauty. Expect jaw-dropping waterfalls, valley and mountain trekking, cave explorations, and stunning landscape heavily draped in vibrant green vegetation. Trekking, kayaking, cycling, hiking, and mountaineering dominate the activities here. Good to know: Entrance to the park is a mere USD $1*, but all activities inside come with an additional fee. This archipelago is made up of 367 islands, the largest of which is Cat Ba, most of which is a national park. This island has made a name for itself as the adventure capital of Vietnam. The most stunning aspect of Cat Ba is the enthralling green carpet that covers much of the landscape. The never-ending hills and mountains also make it a trekker’s dream come true, including a 29km trail that rewards with stunning views over Ha Long Bay. Hailed as one of the most biodiverse areas in the country, Cat Ba is definitely one of Vietnam’s finest creations. Good to know: Park entrance is under USD $2. Hiring a trekking guide costs around USD $5*. This southern Vietnamese beach town has a lot more to offer than its pretty 12km long coastline. 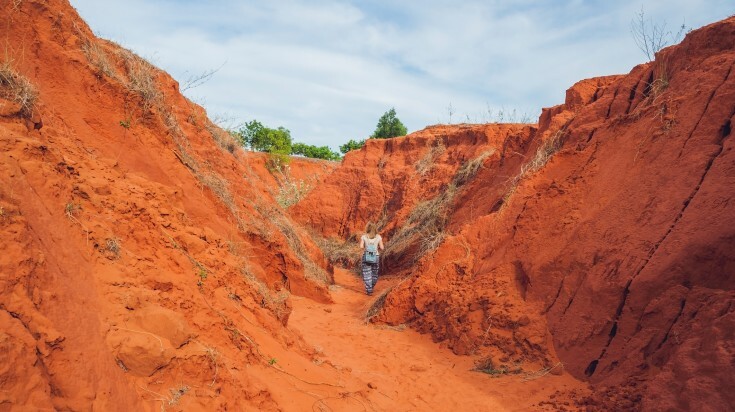 Mui Ne is known for its impressive red and white sand dunes that lie just outside the city center. The windswept dunes can be explored on foot or by a 4-wheeler (rented on site). Fairy Stream also deserves an honorable mention. This 1-hour nature trek through the stream’s vibrant orange clay bed is a sure-fire way to get in touch with the natural world. The contrast of the bright blue sky, orange rocks, and emerald-green shrubbery is picture perfect. Good to know: The easiest way to access these sites is via guided tour which can hit all three attractions in one day. Entrance to Fairy Stream and both dunes are free. Tours run about USD $10* per person. Less than 322km off the coast of Ho Chi Minh, the Con Dao archipelago is a special location where Green Turtles, Hawksbill Turtles, and Leatherback Turtles come to nest. The protected Con Dao National Park provides a safe place for these turtles to lay their eggs after they make the long migration from the Philippines. 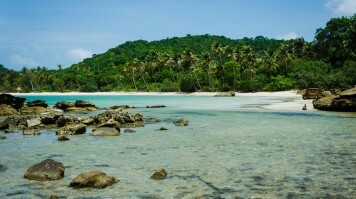 The most popular islands to witness this are Bay Canh, Tre Lon, Cau, and Tai. 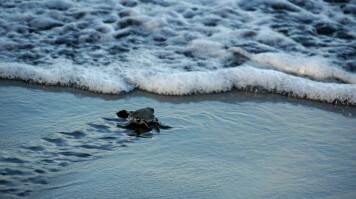 Lucky visitors may even be able to assist in releasing newly hatched turtles into the sea! Good to know: Nesting season is between April to October, with the peak running from June to September. Bird-watchers should definitely not miss the opportunity for some excellent spotting and photographs at Vietnam’s oldest national park. Located in Ninh Binh, Cuc Phuong National Park is composed of dense tropical forest and limestone mountains. The park boasts over 2,000 plant species, 336 bird species, 122 species of reptiles and amphibians, and 135 species of mammals. Many of the bird species found here are considered rare or endangered, like Chestnut-necklaced partridge and Red-collared woodpecker. 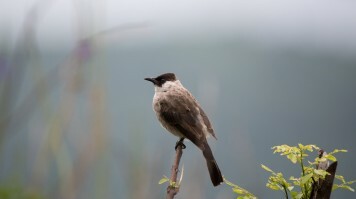 Good to know: There is a 4-day/3-night bird watching tour that allows for 2 full days of bird spotting as well as a trip to the Van Long Nature Reserve. 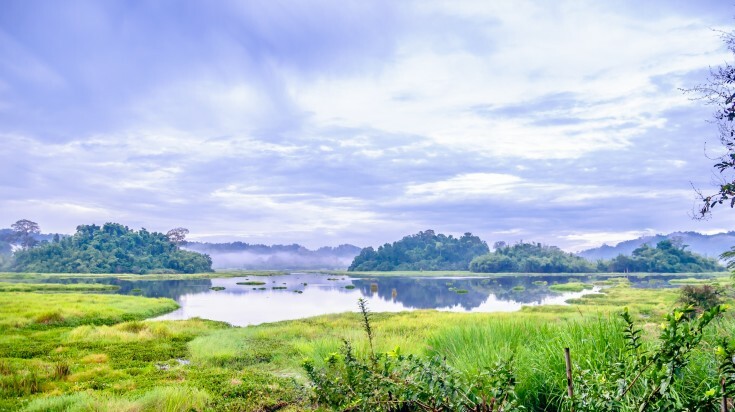 Located in Vietnam’s transition zone between the Mekong Delta and Truong Son Mountain Range, the Nam Cat Tien National Park has an impressive collection of plants and animals. From night safaris to crocodile safaris, this is your chance to see many of the park’s primates and other fascinating animals up close. 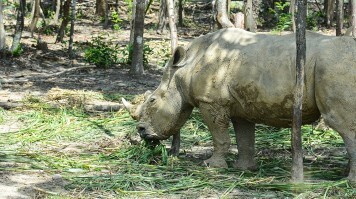 Gibbons and Langur monkeys, porcupines, wild pigs, plus many endangered birds, are the highlights. Trekking, cycling to local villages, cruising along Crocodile Lake, visiting the Endangered Primates Species Center, and staying in an authentic homestay are some of the other activities here. Good to know: Take a well-rounded package that includes a Crocodile Lake trek, night safari, accommodation, and a guided tour of the park, lasting 2 days and a night! Embark on a day trip from Ho Chi Minh to the Can Gio Mangrove region for your chance to explore the wildlife and learn about the history of this UNESCO designated space. 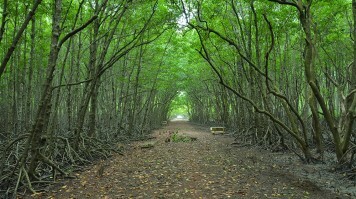 Touring the mangrove and salt marsh forests by boat gives ample opportunity for spotting wildlife along the way like crocodiles and colorful birds. Then head to monkey island for your chance to see dozens of wild monkeys in their natural environment! The Bat Lagoon and Tang Bong Tower are also included in organized tours. Good to know: Learn more details about the wildlife, biodiversity, and history and impact of the war on the area at the Can Gio Museum. This park is one of the highest diversity nature areas in northern Vietnam and recognized by UNESCO as a World Biosphere Reserve. 115 kilometers northwest of Vinh, it is quite close to the Laotian border. Pu Mat’s 180,800 forested hectares are home to nearly 2,500 plant species (including special medicinal plants and rare wood plants), 93 mammal species, 39 bat species, 361 bird species, 459 butterfly species, 86 reptile and amphibian species, 83 fish species, and over 1,000 insect species. To say this park has abundant flora and fauna would be an understatement. Waterfall trekking, wildlife spotting, camping, kayaking, and visiting traditional villages are all worthy activities when visiting Pu Mat. 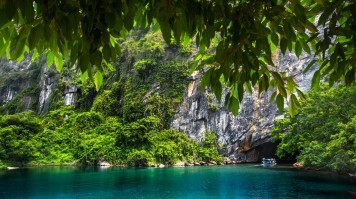 Good to know: Pu Mat is the place to visit if you wish to get off the beaten track, see far fewer tourists, and experience a real piece of untouched Vietnamese nature. The highlight of a safari on Vinpearl, the southern Vietnamese island of Phu Quoc is accessing the country’s first and only open zoo. Built according to an international safari model, this open zoo preserves and protects rare native species as well as wildlife from other areas of the world. Also, on site is a wildlife park — sprawling grounds with an abundant plant system. Both areas can be toured safari-style creating the perfect set up to view many of the animals and wildlife in their natural habitats. Good to know: Admission price here is based on height. For those 1 – 1.4 meters tall the price is USD $22. For those over 1.4m, the price is USD $26*. Not all of Vietnam’s best nature is above ground. The reefs surrounding the southern hemisphere of the country are worth exploring too. Get your scuba license in the scuba diving hub of Nha Trang and see some awesome Vietnamese marine life while you’re at it. Already a certified diver? Head to Whale Island for lush soft corals and lots of macro life. 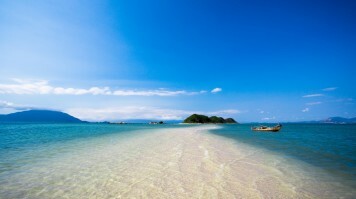 Another renowned spot is the aforementioned Cham Islands, which claim deep-water pinnacles, diverse coral, and fascinating nudibranch, pipefish, and seahorses. 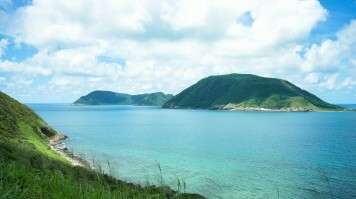 Good to know: Nha Trang has some of the most competitive prices in the world forscuba certification and dive packages. If you’re in Vietnam and looking to get certified and do some fun dives, Nha Trang is the place. 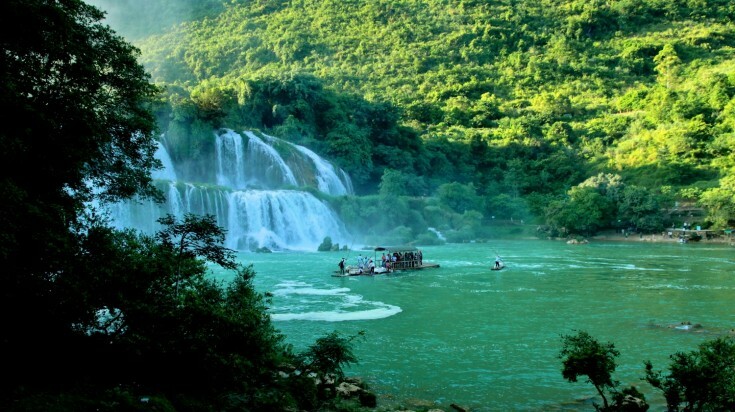 Vietnam is a hot-spot for nature tourism thanks to its plethora of national parks and nature reserves. The country has also clearly been a frequent recipient of Mother Nature’s generosity with its gorgeous and complex landscapes and breathtaking seascapes. One thing’s for sure — if you’re a nature buff traveling in Southeast Asia, you’d better put Vietnam on the top of your list.